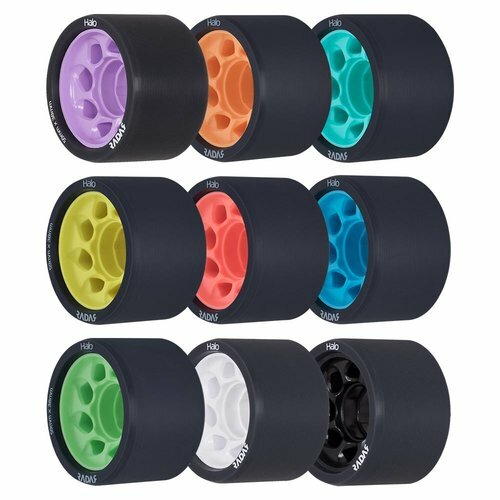 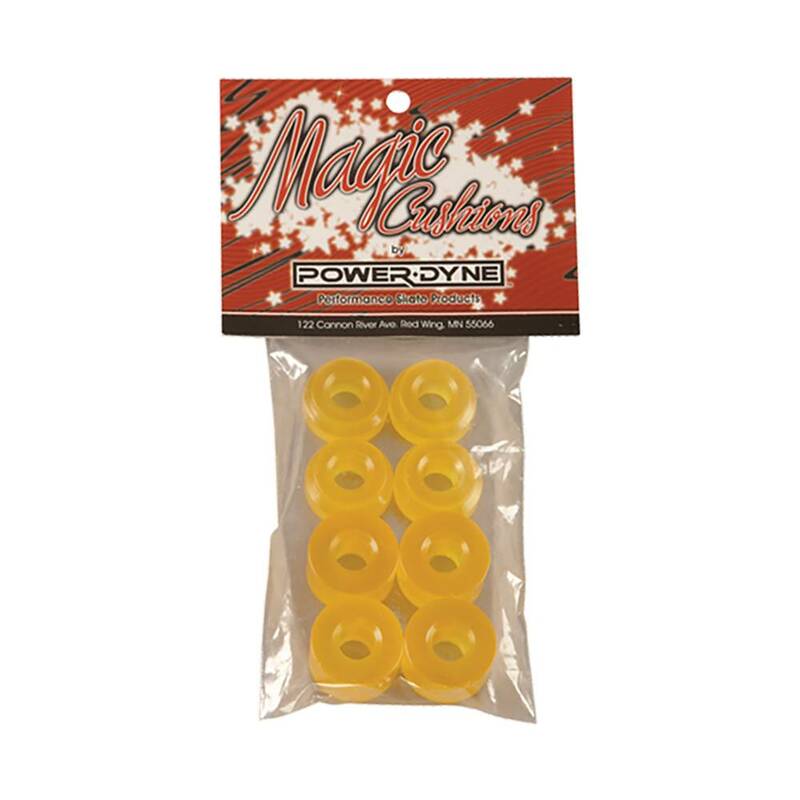 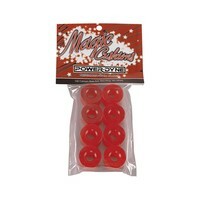 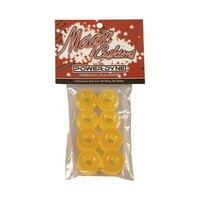 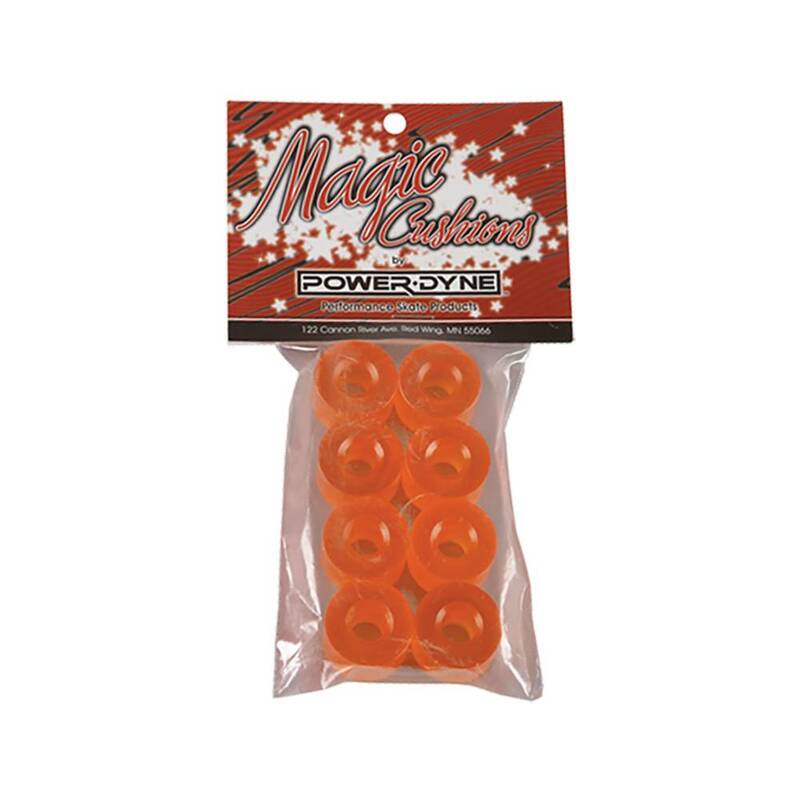 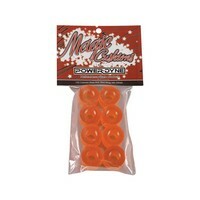 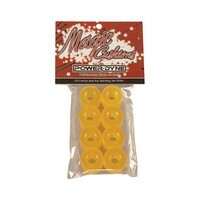 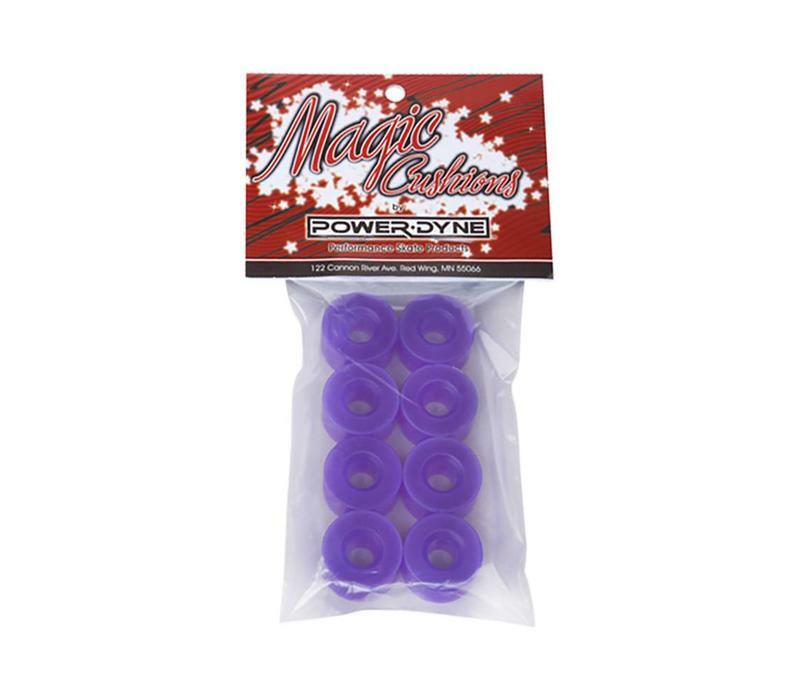 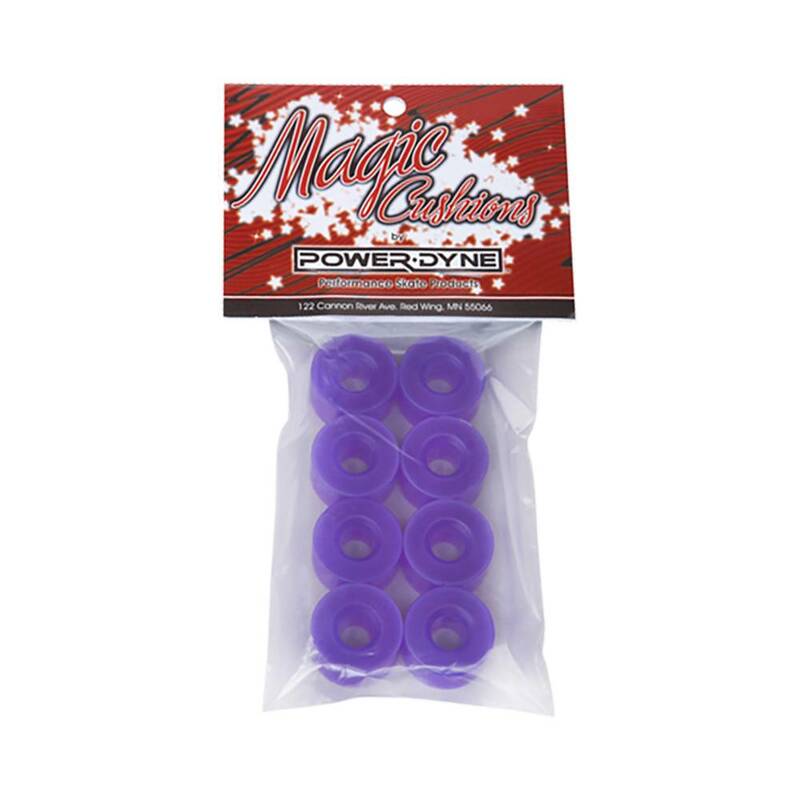 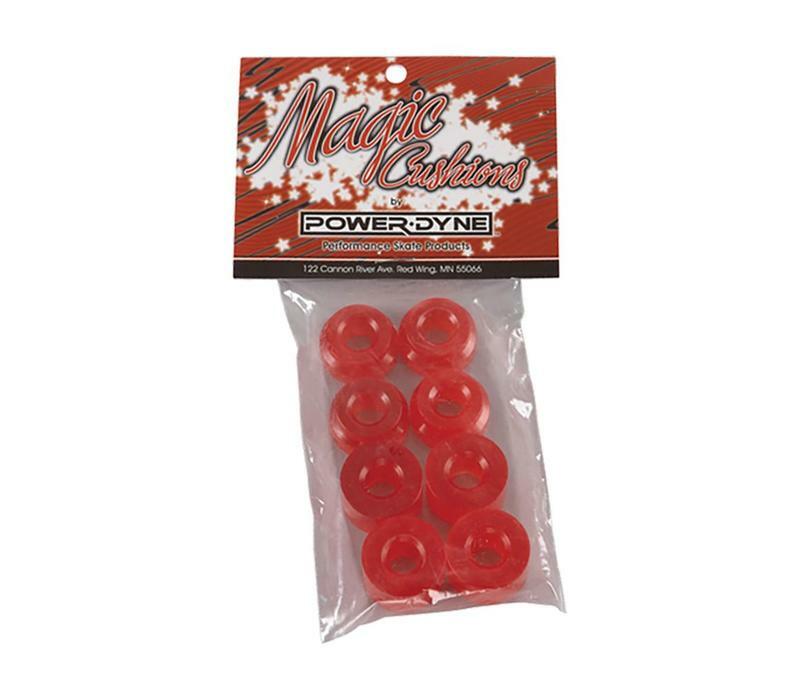 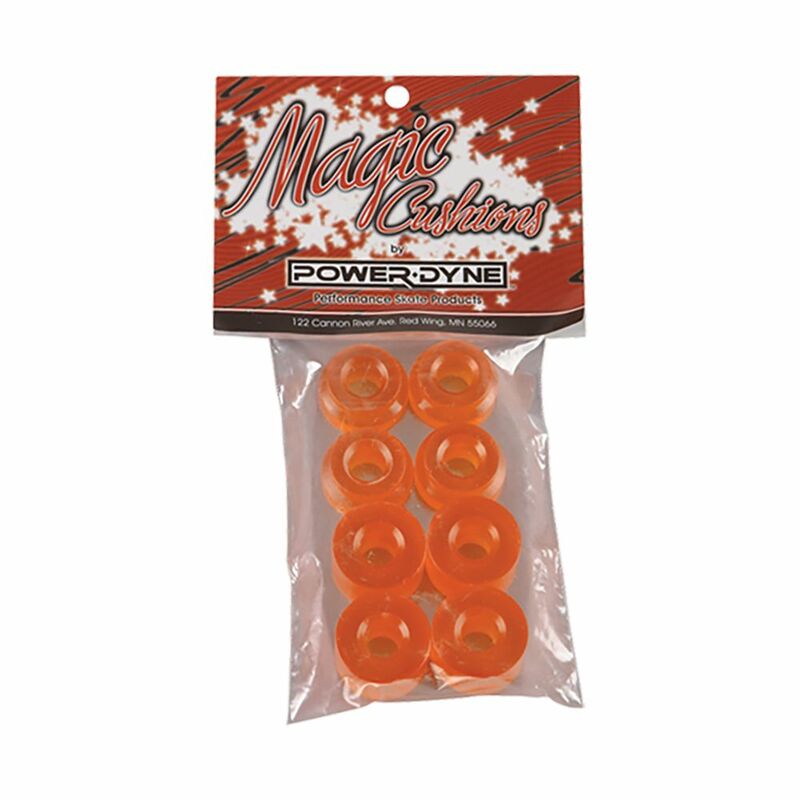 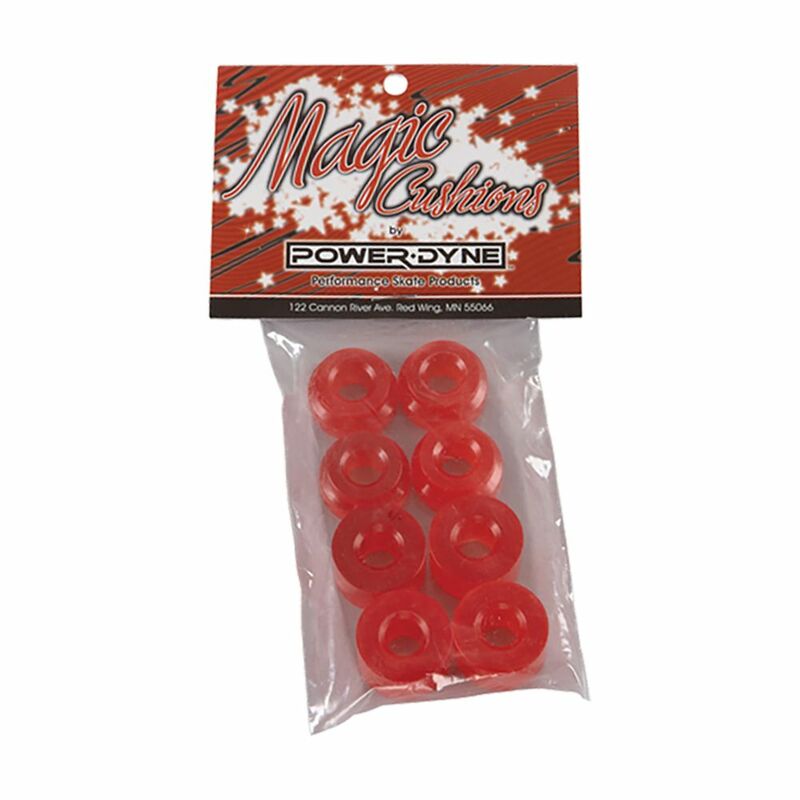 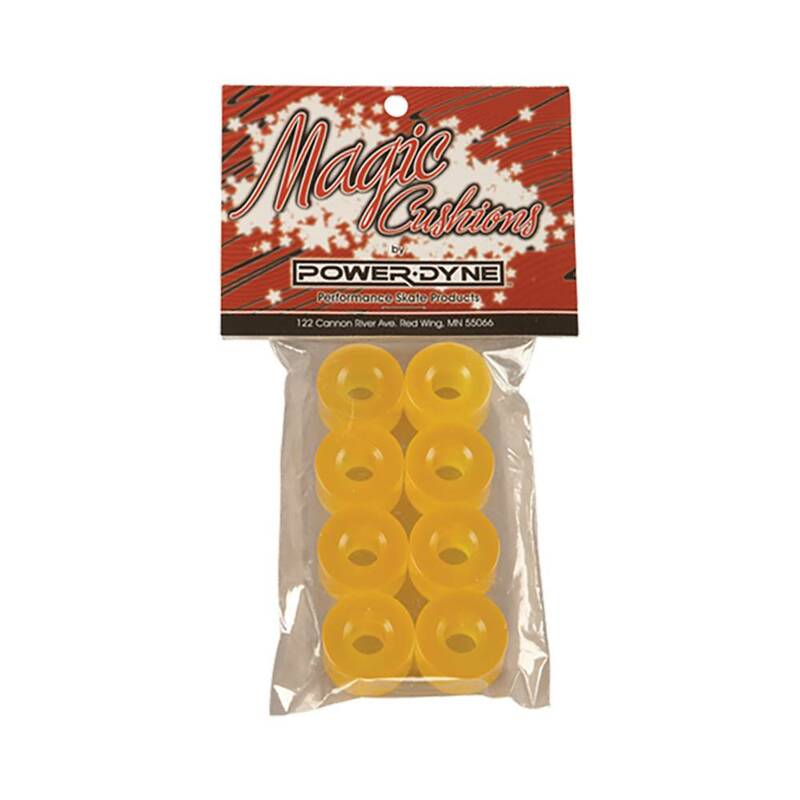 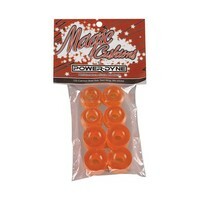 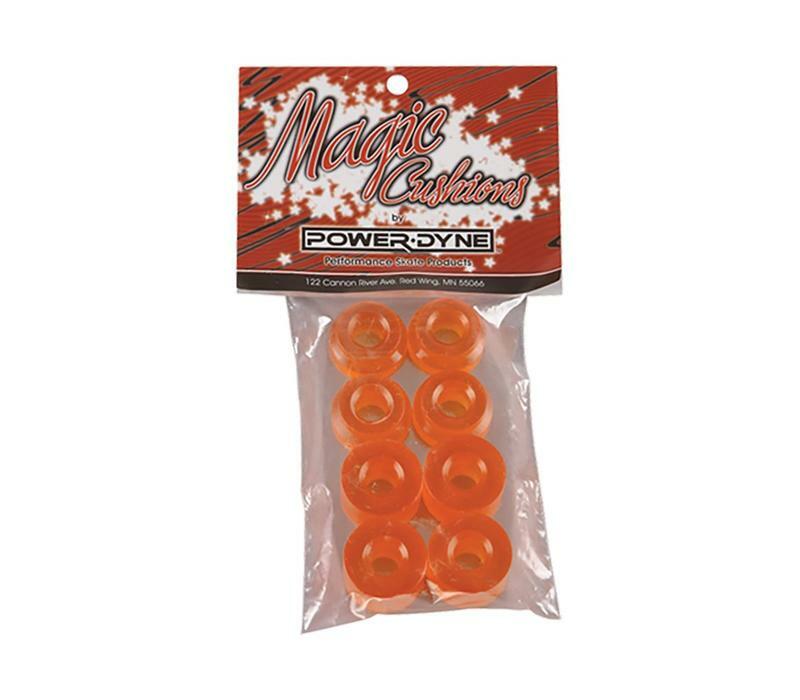 Made from high-quality urethane, Magic Cushions (also referred to as "bushings") retain energy and release it when you need it most. 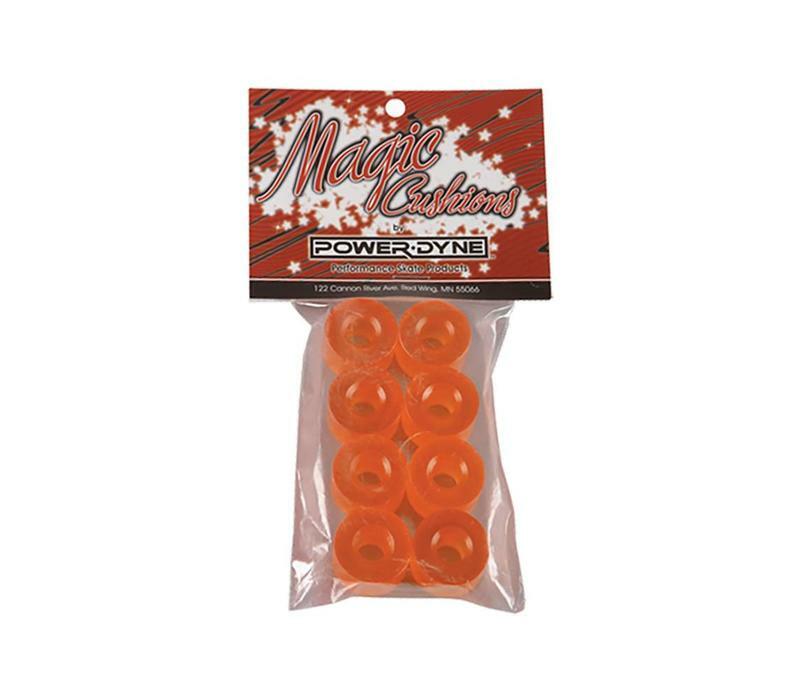 Just like shocks on a car, Magic Cushions soak up the imperfections of the surface, keep you connected to the road ahead through enhanced feedback, load up when pressed to the limit, and then release your stored power in a forceful yet predictable manner. 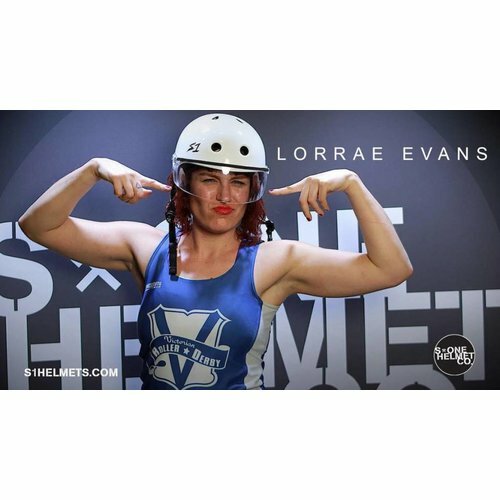 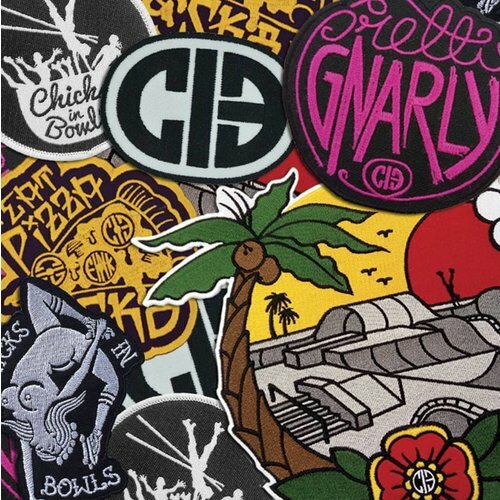 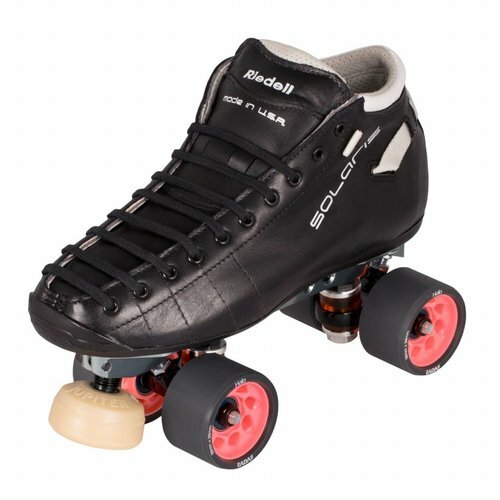 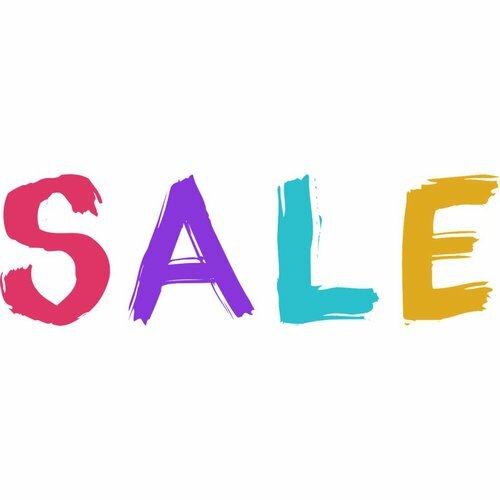 Available in four colors/hardnesses, they are the most responsive cushions available for your skating skills. 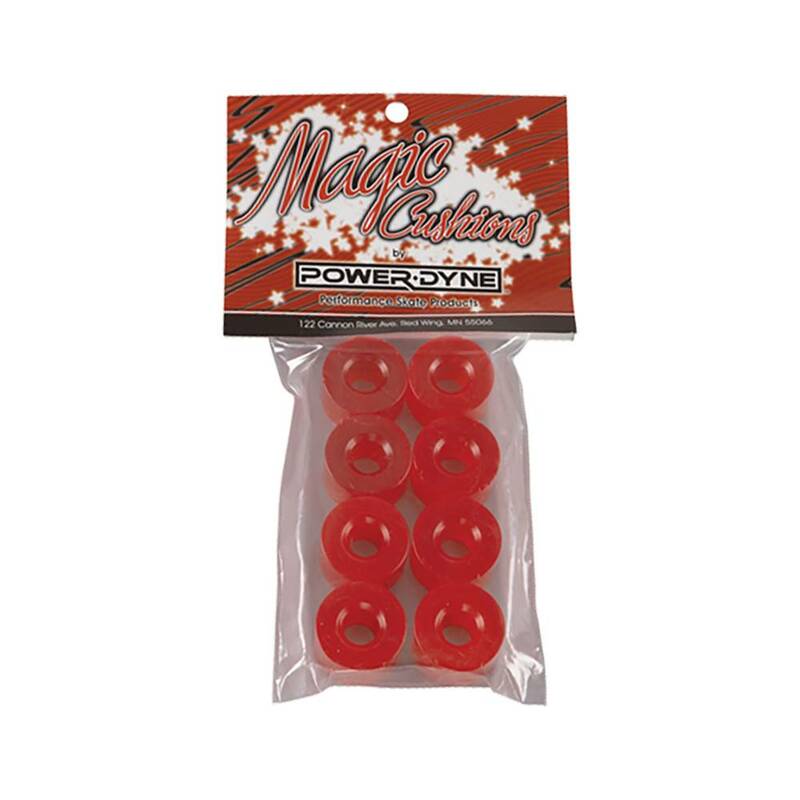 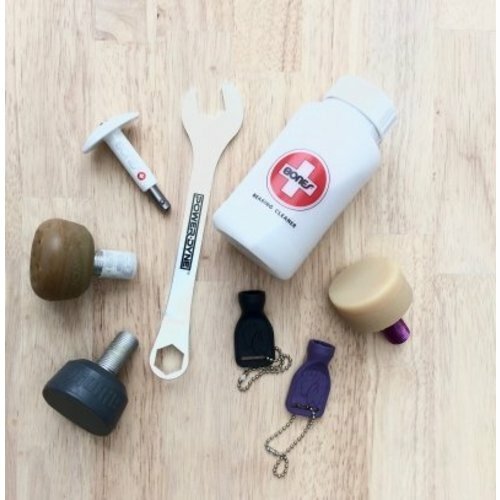 The Universal Magic Cushions will fit most standard roller skate trucks. 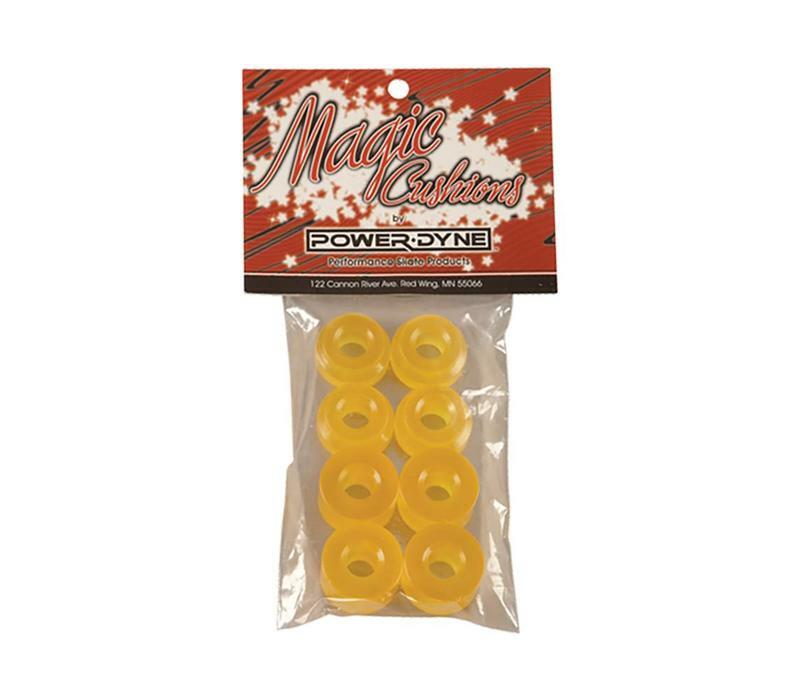 Check out PowerDyne Cushions if you're looking to replace or upgrade the action of your PowerDyne plates.